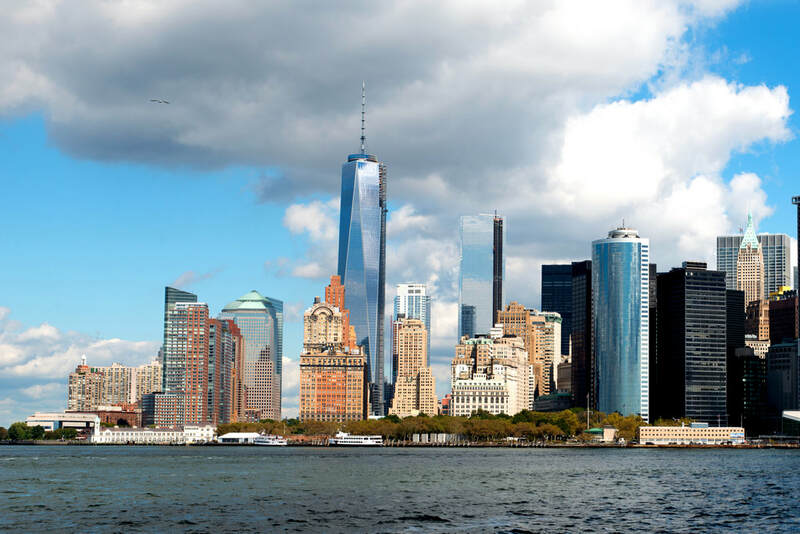 Jam packed 4-day summer tour from the Toronto area to New York City includes some of the most iconic venues of The Big Apple including a visit to the Statue of Liberty and Ellis Island, admission and a ride to the observation deck of 1 World Trade Center aka the new Freedom Tower. Also included are guided tours of the Guggenheim Museum of Art, a behind the scenes tour of the famous Apollo Theater. a visit to the 9/11 Memorial and a guided city bus tour of New York City including Central Park & Harlem. 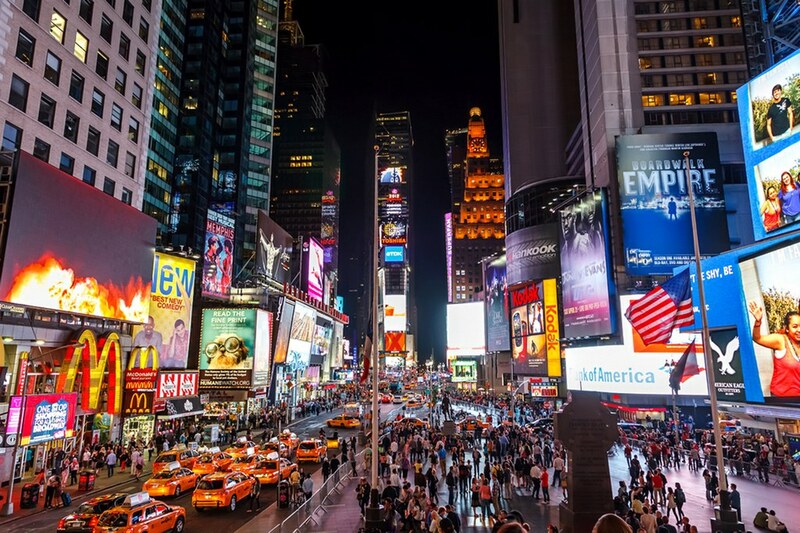 Oh yes, there's no city like New York City! $89 deposit per person to reserve your seat. Admission & guided tour of the Guggenheim Museum of Art included. Admission and behind the scenes guided tour of the Apollo Theater in Harlem included. 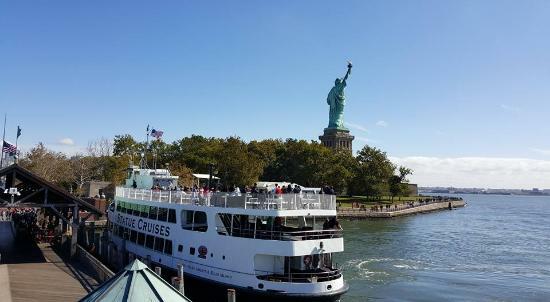 Boat trip to Liberty Island and free time on Liberty Island. Boat trip to Ellis Island and free time on Ellis Island. 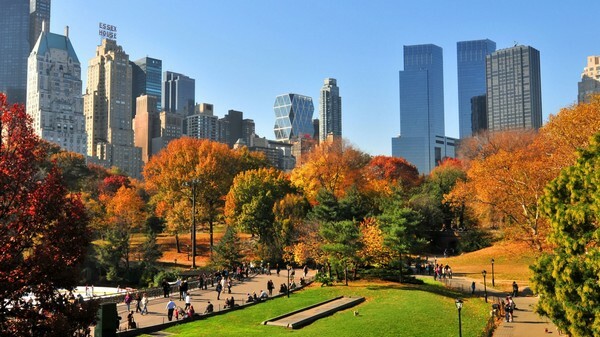 3 hour guided city bus tour of New York with local tour guide included. Escorted tour with tour director available during the trip. 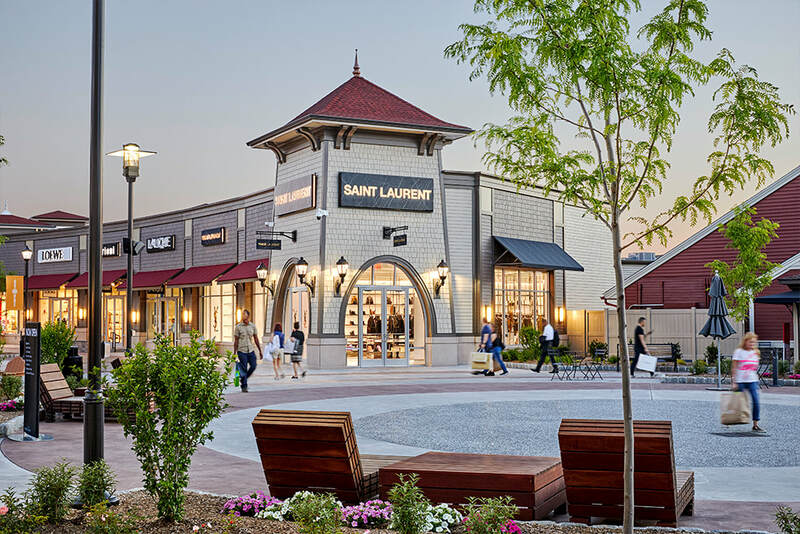 For more details about a pickup location, click on it's name below. All prices are per person, in Canadian dollars. All tips & taxes are included. Deposit of $89 per person required to reserve your seat. Deposit is non-refundable once paid. Full payments due as per payment schedule below. Payment is non-refundable once paid. 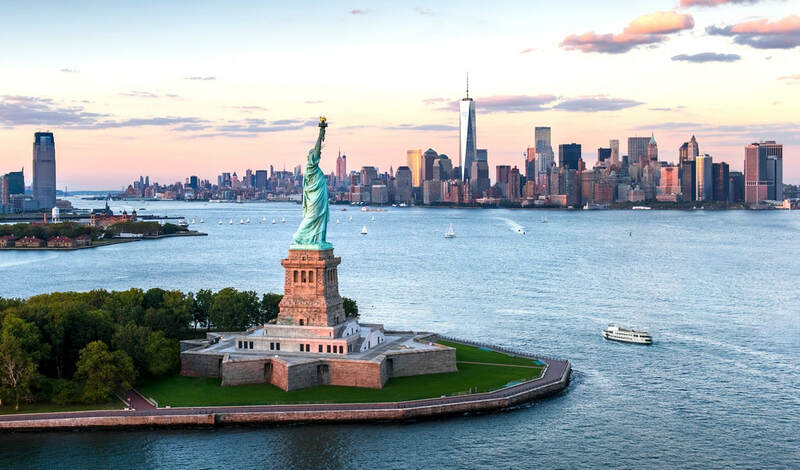 Your tour price includes the boat rides that take you to both Liberty Island and Ellis Island. 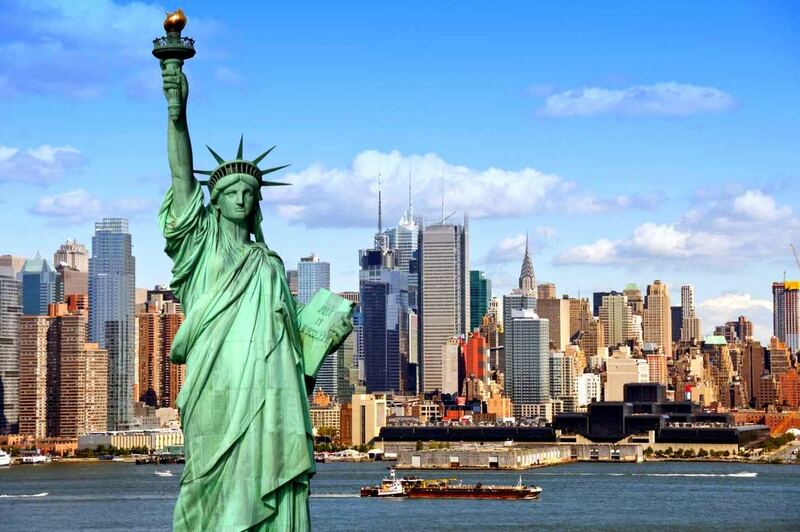 Liberty Island is of course the home of the Statue Of Liberty. 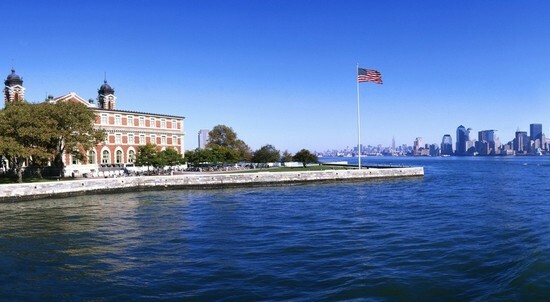 Ellis Island has the fascinating immigration museum which showcases the history of the millions of immigrants who arrived in New York and were processed through this centre. 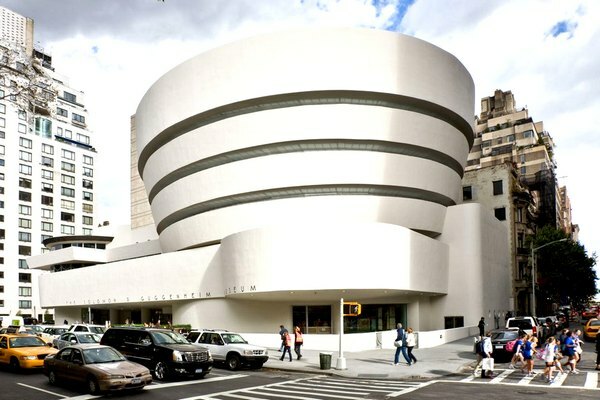 The Solomon R. Guggenheim Museum, often referred to as The Guggenheim is the permanent home of a continuously expanding collection of Impressionist, Post-Impressionist, early Modern and contemporary art. In 1959, the museum moved to its current building, a landmark work of 20th-century architecture. Designed by Frank Lloyd Wright, the cylindrical building, wider at the top than the bottom, was conceived as a "temple of the spirit". Its unique ramp gallery extends up from ground level in a long, continuous spiral along the outer edges of the building to end just under the ceiling skylight. Admission and a guided tour of the museum is included as part of this bus tour. Admission and a "behind the scenes" guided tour of the Apollo is included as part of this bus tour.